Ex-Chief Justice Sarath N. Silva says he was waiting for the opportune moment to reveal PresidentRajapaksa‘s disqualification to contest for a third term as exposing it prematurely would have enabled the President to bypass the legal conundrum. Silva made these remarks during an interview with Newsfirst last night. He said President Rajapaksa implemented the 18th amendment upon being elected for a second term due to faulty legal advise that kept him in the dark concerning the constitutional barriers. 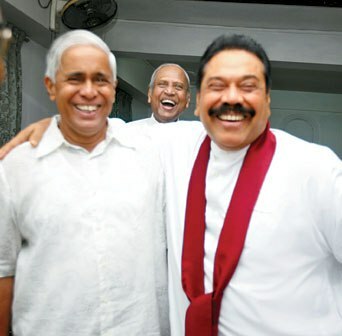 “Rajapaksa is craftier than I thought he would be – he was lying in wait patiently until he was elected for a second term. So I did not wish to raise the issue then but brought it up now when he the necessity has arisen,” Silva said. Silva announced a few weeks ago that President Rajapaksa became constitutionally disqualified for a third term on the very day he was elected for a second term. He has noted that he would take legal action personally if President Rajapaksa wishes to seek a re-election for a third term. This fact has been confirmed by an Australian legal expert Suri Rathnapala who was consulted by the Bar Association of Sri Lanka on the matter.